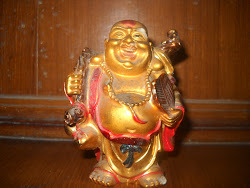 Once Buddha was staying at Savatti. A brahmin with the name of Panchangya-dayaka questioned Gautama,'Oh! Gautama ,why do you call your students,Bhikkhu ?What is the meaning of Bhikku and how can one become Bhikkhu? 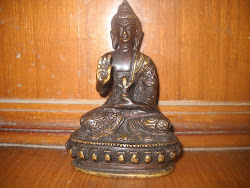 Buddha answered him,'O brahmin,I do call my students as Bhikkhu but Bhikkhu doesn't mean beggar.The word Bhikkhu stands for him, in whom all imperfections have been conquered.The person is devoid of desire and ambition.One who doesn't wishes for money,fame,position.One who has over- powered his sense organs. One who is not arrogant.One who is not after 'me' and 'mine'.One who has mastered his mind and is not a slave to sensory pleasures.When one is devoid of imperfections from inside and is devoid of ill feelings from inside.One is distant from anger,lust,greed,attachment,passion and this state symbolises Bhikkhu. One who has freed himself from materialistic pleasures.One who has no attachment to worldly pleasure,who is not sad on losing anything and is not jubilant on receiving anything. 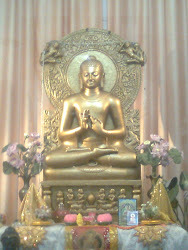 When one is free from inside the Dhamma enters such a heart and one who has Dhamma is the actual Bhikkhu.When mind is in a state of calmness and thoughts have settled down,when emotions have ceased to exist,such is the state of Bhikkhu.He alone will attain the truth and reach the state of eternal happiness.